Texas Superheavy or Oversize Permit Bond Renewal Deadline Approaching! Holders of Texas oversize/overweight motor carrier permits must renew their superheavy or oversize permit bond by August 31! If such carriers do not renew their bonds in time, they risk having their license revoked by the Texas Department of Motor Vehicles. Read on for more information about surety bonds and the renewal deadline! 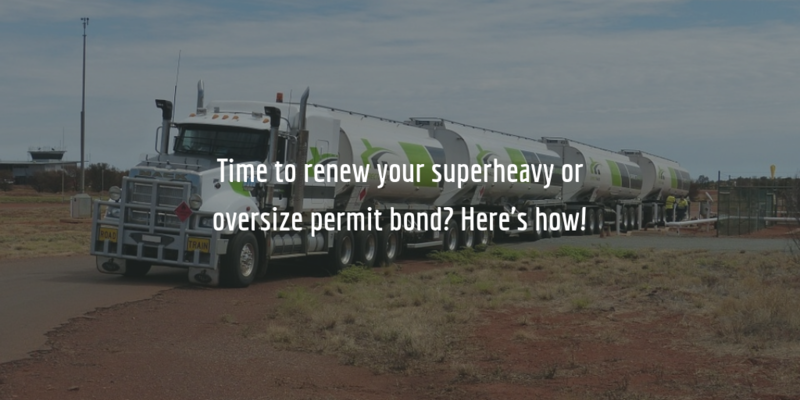 According to Chapter 623, ‘Permits for Oversize or Overweight Vehicles’, of the Texas Transportation Code carriers in the state who hold a permit to transport superheavy or oversize loads need to renew their bond annually. The bond expiration date is on August 31, and such carriers are required to renew their bond prior to the deadline in order to retain their licenses. According to Sec. 623.012(d) of the code, maintaining a license is directly tied to being bonded. If a carrier fails to renew their bond or fails to notify the Texas Department of Motor Vehicles of having renewed their bond, their permit expires automatically after August 31. Respectively, a carrier is obliged to notify the Department of having renewed their bond before the 31st day after the date on which they renewed their bond. The amount of the superheavy or oversize permit bond that carriers must obtain is typically set at $10,000 unless the Department requests the permit holder to obtain a different bond. See the section below for more information about surety bond cost. Applicants may also be required to pay further administrative fees to the Department, such as distributing fees, and fees related to issuing stickers and notifying counties. For a detailed breakdown of the fees you may have to pay when renewing your permit, contact the Department of Transportation. Start your bond renewal application today! Why us? The cost of your superheavy or oversize permit bond is equal to only a small fraction of the total bond amount. The cost can be as little as 1% of the total amount, or in the case of this bond – $100. The exact cost of your bond is determined when you apply. The most important factors that sureties take into account when setting a bond rate are an applicant’s credit score and, after that, their financial statements and other personal financial indicators. The higher an applicant’s credit score – the lower their bond rate. To renew your bond, start by completing our online surety bond application form. We will then contact you with your personal and entirely free bond quote. If you need any more information about getting bonded or assistance with your application, get in touch with us 866.450.3412 or contact us via email. Our bond agents will be happy to assist you and answer your questions. Don’t hesitate to get in touch!